“I have a message for the people of Lebanon: Hezbollah is putting your lives in danger. They are sacrificing your wellbeing to serve the aggressive purposes of Iran,” Netanyahu warned. 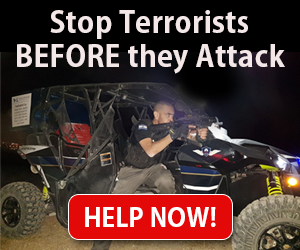 The IDF on Tuesday morning launched a campaign to expose and neutralize a network of terror tunnels on Israel’s northern border with Lebanon, which Prime Minister Benjamin Netanyahu warned threatens the lives of Israeli citizens and Lebanese alike. “They were built with one purpose in mind – to attack and murder innocent Israeli men, women and children. This is a grave violation of Israel’s sovereignty, and a gross violation of UN Security Council Resolution 1701. It is an unacceptable act of wanton aggression,” he charged. “Like any other nation, Israel maintains the right to defend itself. We will continue to do all that is necessary to defend ourselves against Iran’s efforts to use Lebanon, Syria and Gaza as forward terror bases to attack Israel,” he vowed. Iran has been opearting extensively to broaden its influence on Gaza’s terror groups while establishing itself militarily in Syria in an effort to open further fronts from which to attack Israel. “Israel will continue to do all that is necessary to protect our people and defend our borders,” he concluded. The IDF is operating at several points inside Israeli territory along its northern border with Lebanon, with several areas declared a closed military zone. Hezbollah has so far remained silent and has not reacted to the IDF’s operation.